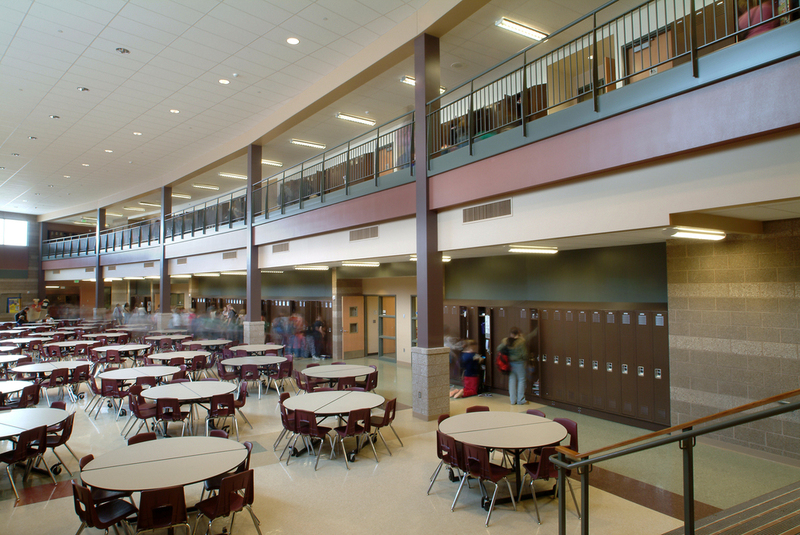 Cheyenne Mountain Jr. High had multiple additions that occurred over many years that had resulted in a campus of separate, dissimilar buildings connected with covered walks. There was no clear sense of a main entry and once inside no obvious direction to head. 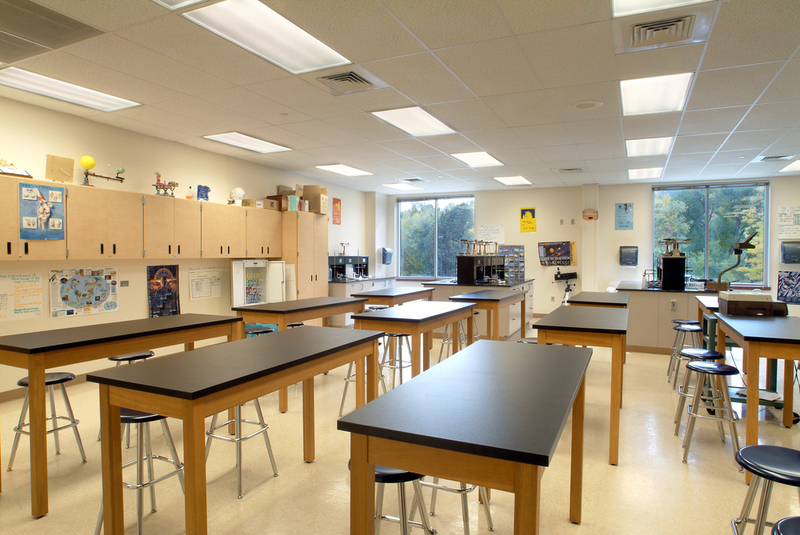 The school needed additional classroom and program space but there was not enough space remaining on the site for a new addition. CRP master-planned the site and facility so that it could achieve it’s full potential. 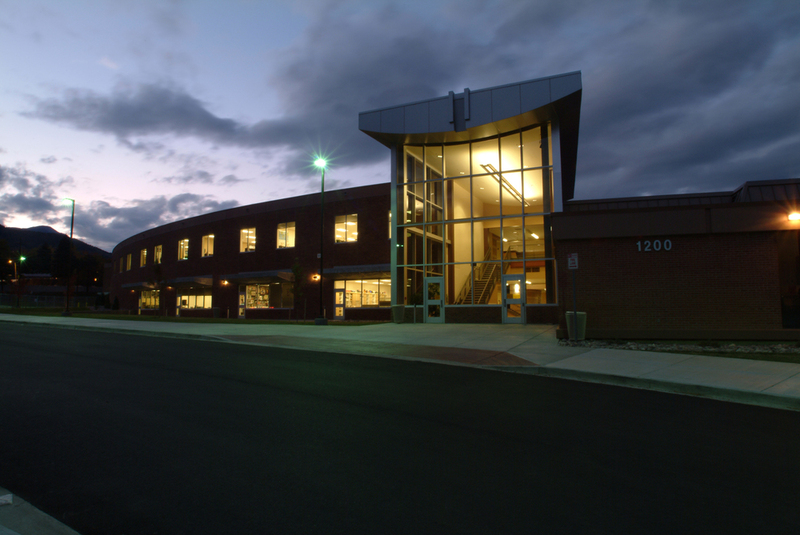 The result dramatically improved the school’s functionality while providing a new main entrance and improving parent drop-off and staff parking. 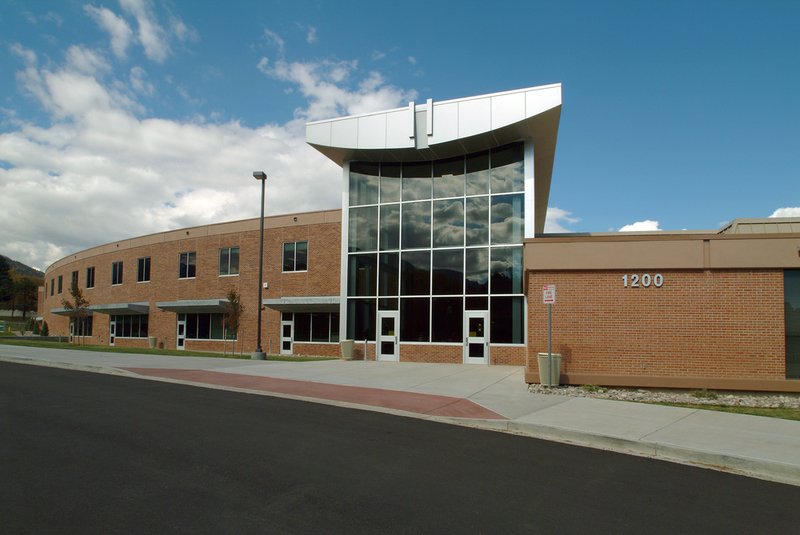 The project included demolition of underutilized buildings and a two story classroom addition with a new commons area, kitchen, gym and administration area. An unused courtyard was in-filled that created a state-of-the-art media center and all portions of the remaining buildings were remodeled. The new addition tied all of the remaining buildings together. 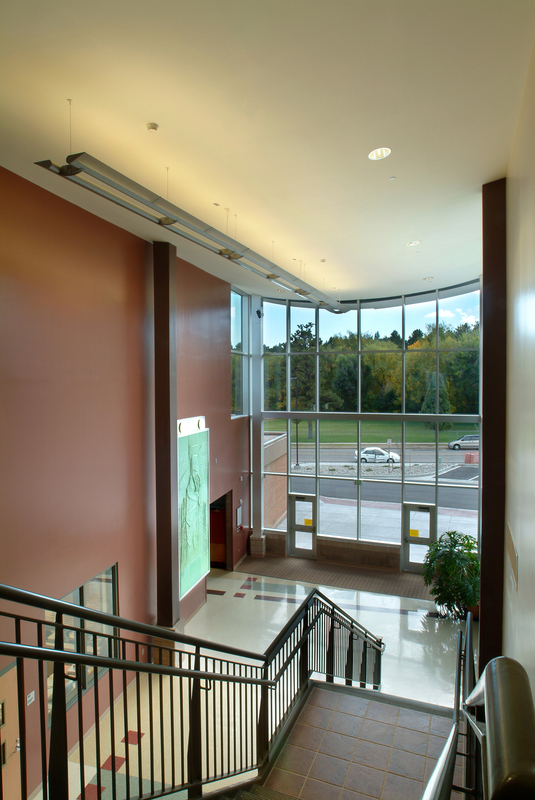 The new commons area incorporated a stage and performance space providing the school with a much needed multi-use space. Code issues were addressed including the addition of fire sprinkler system. The mechanical systems were upgraded and flood plain issues were resolved. The new entrance featured a salvaged terra cotta relief panel that had been incorporated on one of the additions that was demolished. 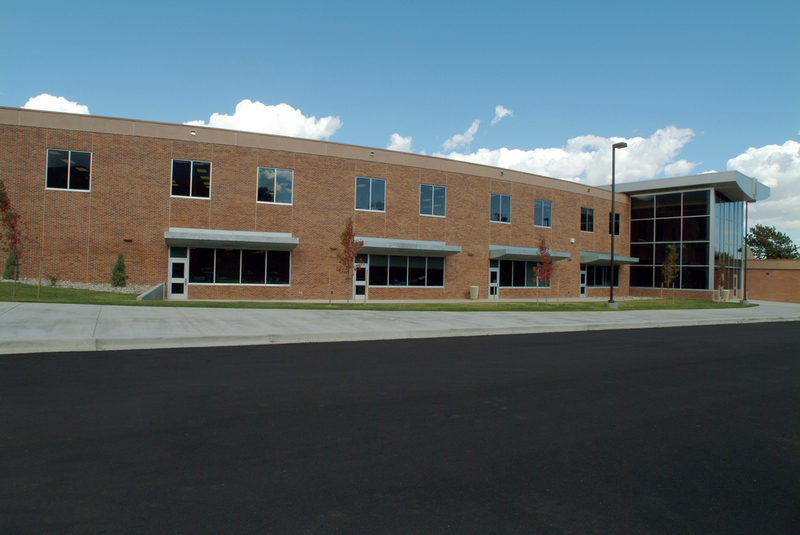 The multi-phased project was completed while the facility was occupied.